Jayna Packaging Pvt. Ltd was called upon to create a unit for Halls that worked on a counter or as a side kick and wasn’t your typical molded, thermoformed display. 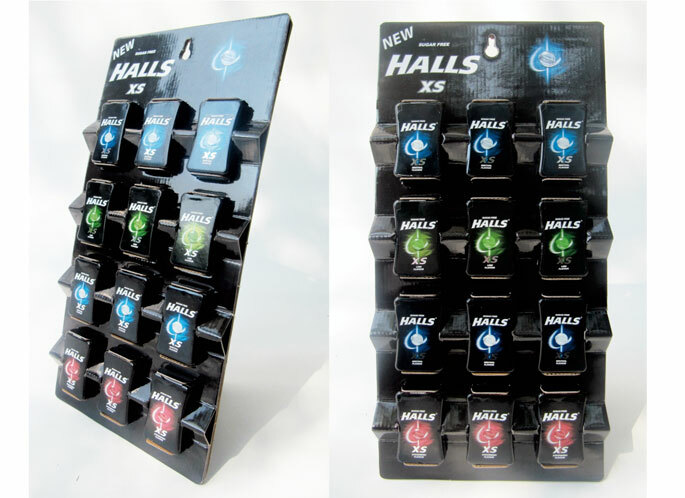 The solution was an eco-friendly, easy-to-pack, corrugated display that merchandised 12 Halls Xs Pack or 24 Halls Xs Pack. The main feature, which is being patented, was the manner in which the product was loaded and dispensed. “After nearly a month of trial and error and incorporating many changes, we achieved the design which has all the functions required by the client. A lot of technical calculations had to be done to work out the correct holding strength of the packs to be displayed on the unit”, says Haresh Mehta of Jayna Packaging Pvt. Ltd.
J K Helene Curtis Ltd., India’s leading male grooming company, created a separate category within the hair care segment by launching the first-ever beer shampoo for men. After receiving an overwhelming response from their initial floor display debut, the brand developed additional display vehicles (shown above) to meet various retail environments. Acrylic and HIPS units were produced for the premium general stores and wire-mesh units for small grocery shops. 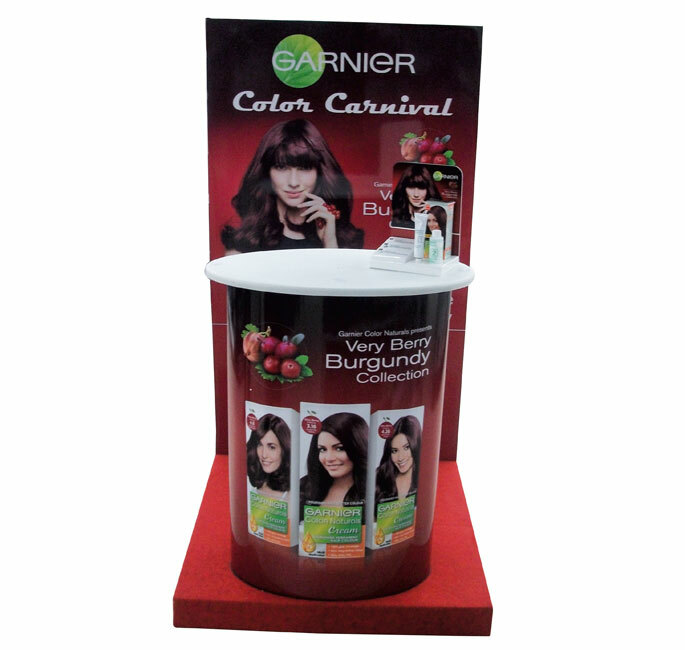 Leading hair and skin care brand Garnier extended its product line with the recent launch of their Very Berry Burgundy Collection. To deliver the message to shoppers, the brand used a ready-made structure which consisted of a stage, backdrop, promo-table and product glorifier. The portable display was designed for an attendee to distribute product information and usage tips to consumers at around 40 activation zones. 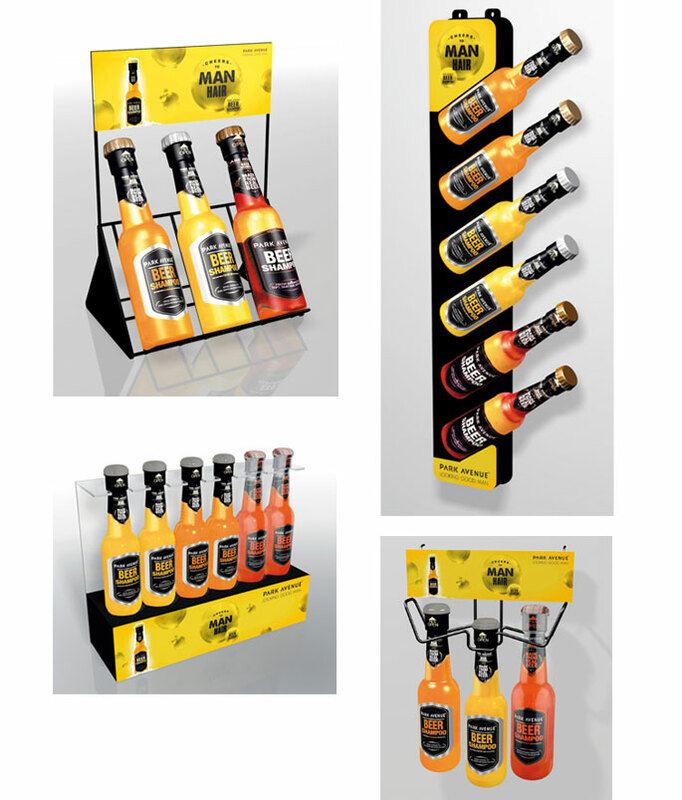 In addition to this display, mini wings, shelf highlighters, drop boxes and standees were also deployed in several major retail chains across India. 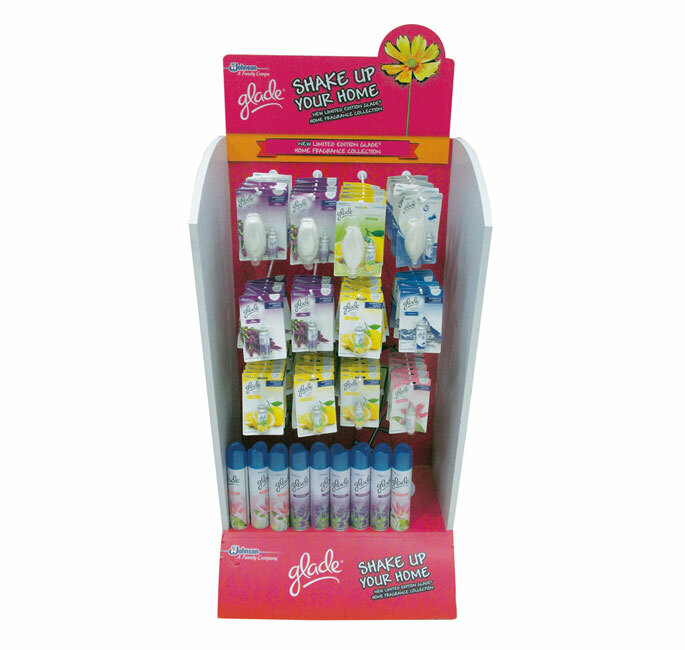 Glade, the popular room freshening brand from SC Johnson, recently rolled out this P-O-P display showcasing their Glade Home Fragrance Collection. The unit was designed with bright colors and total product visibility to attract shoppers browsing through home cleaning sections across India. 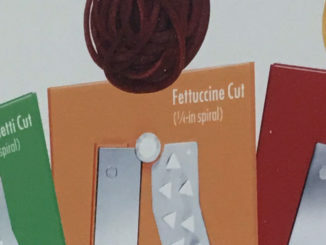 Kinder Joy, the well-known brand from Italian confectionary giant Ferrero, recently introduced attractive POP units at various retail outlets. Created by Jayna Packaging, the counter display and side kick were made from corrugated board, which is 100 percent recyclable and eco-friendly. For both displays, the basic theme was to use the iconic Kinderino as a graphic and structural element. The side kick merchandised 16 units of Kinder Joy Eggs in trays mounted to a Kinderino-shaped backer. To provide visibility at the counter, the brand’s idea was to display two SKU’s of Kinder Joy – Kinder Joy Boys T16 and Kinder Joy Girls T16. 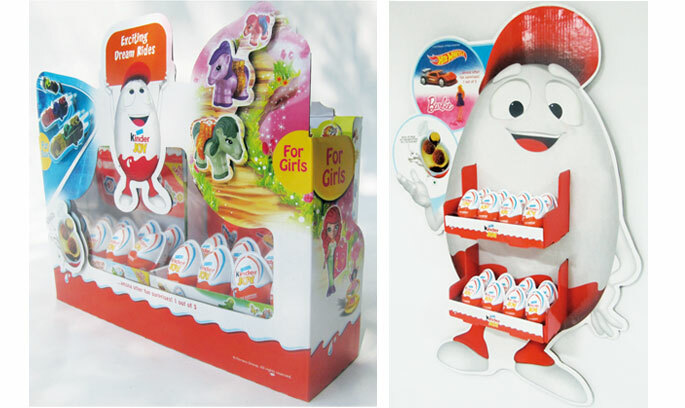 Jayna Packaging made this counter display unit more interactive by having the 3D toy cut-outs of the surprise toy elements which are available inside each egg of Kinder Joy. Both display units were shipped knocked down flat and assembled at retail. 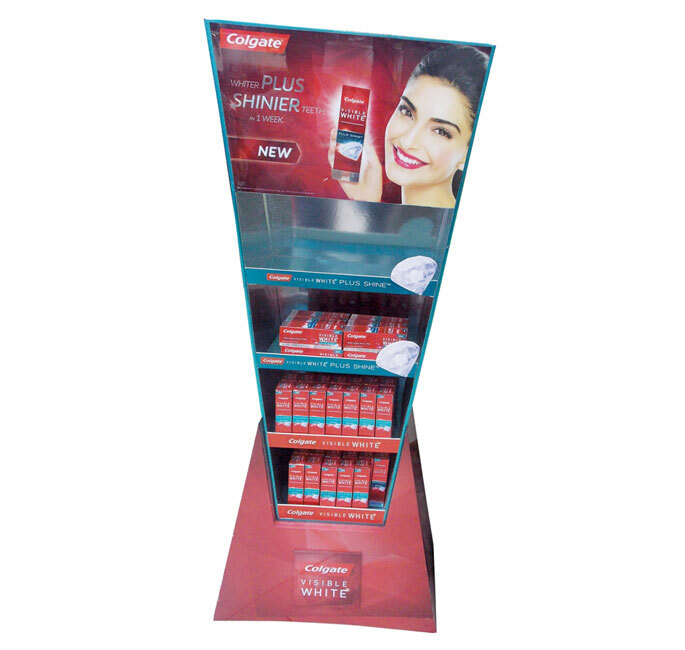 For their new toothpaste variant ‘Visible White’, Colgate India rolled out a shimmering, red-colored floor display in supermarkets and hyperstores. 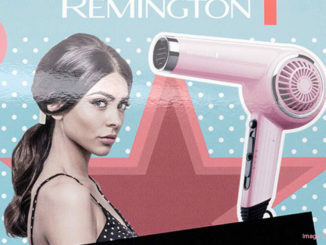 The brand ambassador, Bollywood actress Sonam Kapoor, was prominently positioned on the header of the wedge-shaped product tray. 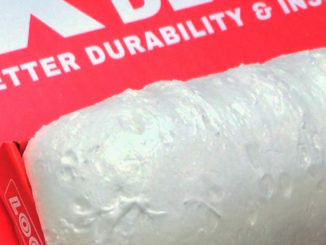 The angled base boasted brand assets and complemented the overall presentation in oral care aisles.